Frederik’s Hospital was built in the 1750s during the reign of Frederik V from designs by the court architect Nicolai Eigtved and, after his death in 1753, completed by Lauritz de Thurah. There were four main ranges set around a large enclosed courtyard, generally of a single storey but with two-storey pavilions at the centre of the fronts to Bredgade (at first called Norges Gade) and Amaliegade on the axis of Amalienborg. Those central pavilions on the street fronts had high, hipped roofs and pediments with ornate carved reliefs over the central doorways. Both fronts were set back from the street with forecourts, iron railings and gateways onto the street with ornate stone piers. On either side of the forecourts on both street fronts were tall service blocks of two full stories above basements and with high roofs with dormers. There were also yards with service buildings down each side that were screened off and divided up by high walls and gateways creating an extensive complex. The design museum was established in 1890 by the Industriforeningen i København and the Ny Carlsberg Museumslegat and opened in 1894 in a new building by Vilhelm Klein on what is now H C Andersens Boulevard. From the start, what is implied is that there should be a connection between industry and business and an aim to collect examples of the applied or decorative arts as a study collection for teaching to improve the quality of design and production. Frederik's Hospital closed in 1910, with no clear new use and there was a rumour it might be purchased by speculators. In 1919 Councillor of State Emil Glückstadt bought the buildings and gave them as a gift to establish a new home for the museum. There was not an outright winner but the committee preferred the scheme proposed by Ivar Bentsen, Thorkild Henningsen and Kaare Klint. Henningsen withdrew from the project (because of an ongoing personal dispute with Hannover) and the contract was signed by Bentsen although in the end most of the design work was completed by Klint as the project architect … not just deciding on the major arrangement of the internal spaces but designing the main features such as the four new staircases, based on appropriate 18th-century models, determining the form of the display cases and designing library fittings, doorcases and doors and even handles and hinges. However, the museum also commissioned work from other major designers of the period; G N Brandt produced the scheme for the courtyard - Grønnegården - with paved alleys and the planting with lime trees; lamps for the new museum were by Poul Henningsen based on a lighting system developed for the World Exhibition in Paris in 1925 and Mogens Koch and Ole Wanscher designed the display cases following a system of basic cube units devised by Klint. 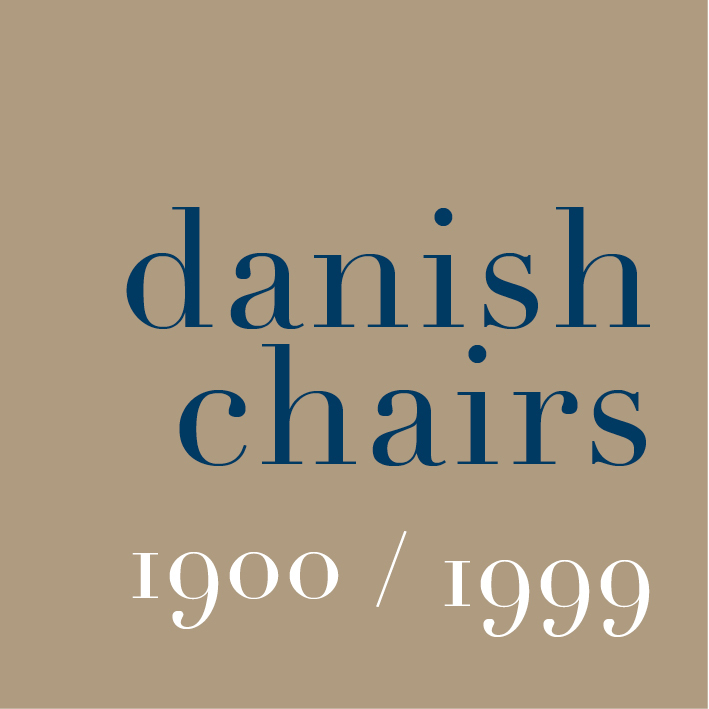 The cases were made by the master cabinet makers N C Jensen-Kjær and Rudolf Rasmussen, Otto Meyer and Jacob Petersen. With the death of Hannover in 1923, Klint took over the responsibility for organising the display of the collection. He was clear that he did not want the museum collection shown in any form of room setting and his drawings for the main galleries show major items lined up formally along the spine walls opposite the widows to the courtyard. He saw the furniture as important works of art to have comparable validity to paintings and sculpture and to be displayed in a similar reverential way. He also designed shelving and storage systems for housing smaller items, drawings, photographs and other teaching collections such as the samples of different timbers. Klint established a studio in the attic of the museum, taught here using the collection and from 1932 had accommodation here where he lived until his death in 1954.